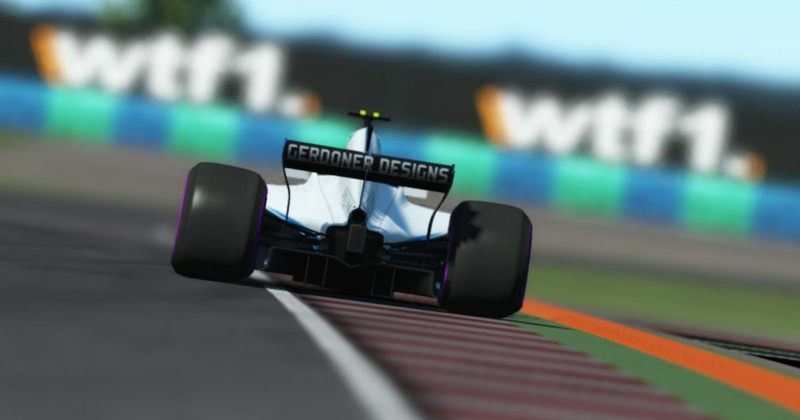 Evolution’s Jannick Bock put on a defensive masterclass in the dying stages of the race as the German claimed victory in a sensational WTF1 Superleague season opener. Defending champion Alex Siebel took second place ahead of Bock’s Evolution Motorsports teammate Dennis Jordan, who rounded out an all-German podium. Hawkeye Racing’s Liam de Waal started from pole and managed to control the first stint of the race nicely, with Bock finding just how hard the Dutch driver would defend. Siebel found his way through while the top two tussled their way through turns three, four and five. By the time de Waal pitted on lap 13, the top three had bunched to within a second of each other. The early pit stop onto the ultrasoft tyres would ultimately cost the pole-sitter as two laps later, Bock would pit for softs and leapfrog the Hawkeye machine. Siebel pitted a lap later, rejoining just in front his rivals. Bock went to the outside of the ACR Zakspeed driver as de Waal made it three wide into Turn 3. Siebel managed to hold off de Waal, but Bock pulled off the dramatic overtake and snatched the lead. Fabio Sixta drove a superb final two stints to move his way up the order, followed by Maciej Mlynek and Daniel Brewer. Sixta’s pace had put him in with an outside chance of a podium position come the end of the race. De Waal’s strategy put him under pressure in the final stint. Sixta was flying on ultrasofts while de Waal nursed his softs. The Red Archer man was fast enough, with the aid of DRS, to move up into fourth before the turning point for Turn 1. Up at the front, Siebel was trying every line available to get past Bock. But while he knew there was no need to risk everything in race one, Bock’s car positioning was nothing short of superb as he held on in the final five laps to just stay ahead Siebel and take victory. The full race results are available here. The WTF1 Superleague returns on 28 March with the Malaysian Grand Prix.